THIS IS MY LOVE x GroundDesigns collaboration. In 2013 Dan Kendall began football photography project www.thisismylove.co.uk with an Instagram photo of the sun setting over a stormy Chadderton Road End at Boundary Park, Oldham. Sadly, the original image was later lost for good, beginning a chain of events which led to us working together on this design five years later. "The first This Is My Love Instagram post was uploaded to the account on 9th June 2013 (see photo above). It was the artist Paul Oz who told me, “focus is everything” and so I decided to take the plunge. The response since has been fantastic. In the five years that have passed I’ve worked with a range of magazines and websites, not to mention a fair few football clubs, including my boyhood side, Burnley. The only thing that grated on me was the photos I’d lost in a laptop theft in December ‘13, including the original image of that first post. 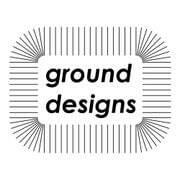 It was Martin at GroundDesigns that I went to for help. All I wanted was an art print for the wall. A way to replace the photo had gone. Martin ran with it and produced this incredible design." Initially it was quite a challenge trying to simplify the complex cloud pattern and colour palette with only a low-resolution copy of the image to work from, but I found inspiration in a certain outdoor clothing brand's logo and things fell into place pretty easily from then on. We are both really pleased with the final result. "I’m delighted with my first collaboration. Here’s to many more years of football art. And many more years of This Is My Love!" Oldham Athletic 'Boundary Park Sunset' Print - by Ground Designs has been added to your cart!